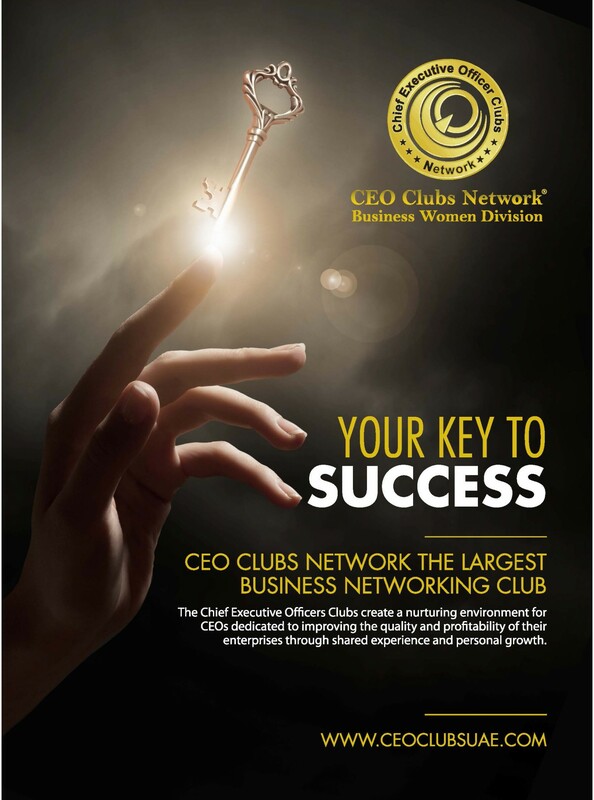 The CEO CLUBS UAE Business Women is the division of CEO CLUBS UAE is a chapter of CEO Clubs Network the World Largest Business Networking Club, an over three decade old by invitation only membership organization. CEO CLUBS UAE exclusive members get connected with over 14,000 CEO’s & High Executives from all industries in UAE and Worldwide. 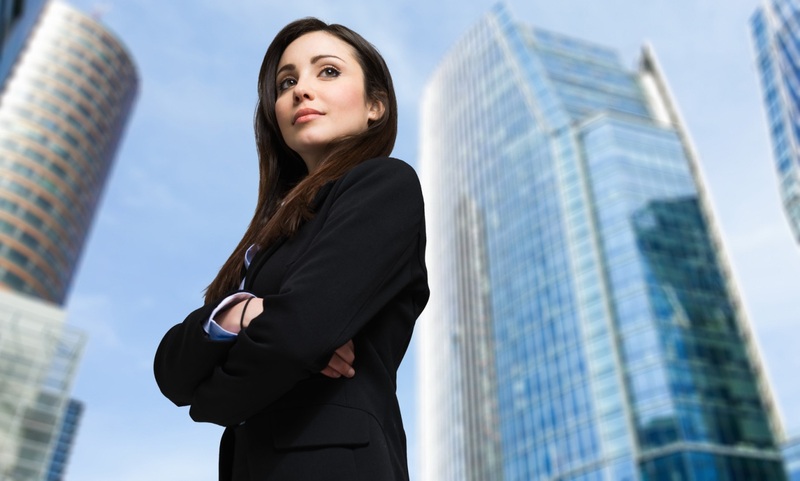 This division will be for business women in UAE and other Arab Countries including Africa. It’s established to provide a combination of Business opportunities, business benefits, and business support, special women international delegation and networking for women at all levels; from start-ups and sole traders through to director level. The WOMEN’s CEO CLUBS UAE will have same regular benefits as CEO Clubs Network members plus additional women related benefits will be added on regular basses. The WOMEN’s CEO CLUBS UAE will have regular monthly meeting with key speakers and get together in Dubai and other parts of the world. CEO CLUBS UAE is completely focused on business development therefore offers unique opportunities to grow your business internationally. CEO CLUBS Network have overseas chapters all over the world and has taken business delegations & organized a series of business exchange events between USA, China, India, UAE and other countries. Gradually it started other chapters in different parts of the world. And now CEO CLUBS Network chapters are and have links with CEO’s in USA, UAE, UK, China, Russia, Canada, France, Saudi Arabia, Korea, India, Pakistan, Morocco, Egypt, Philippines, Malaysia, South Africa, Mongolia, Singapore, Greece, Romania, Namibia, Turkey, Jordan, Germany, Lebanon, Nigeria and other parts of the World. In 2006 the CEO Clubs Network Founder & CEO Dr. Tariq Ahmed Nizami successfully extended to open a major chapter in UAE, who is also the CEO of a Holding company having interest in multiple industries internationally and his main aim behind this extension is to helps many UAE and other country businessmen to explore and expand the International markets, at the same time helps outside companies to learn the investment environment in UAE more directly and comprehensively. CEO CLUBS UAE members are positioned to get access to fellow members in the International market, introduce foreign enterprises to the domestic market, create a favorable International business environment for its members, expand their social resources and strive for a win-win result. Through our members network we hold regular exclusive events in Dubai & Abu Dhabi and also other cities of the world to provide a platform for International businessmen to meet local business community and expand business network to other countries of the World. Once a business women are CEO CLUBS UAE member than we introduce member business to our exclusive elite members network including women members in UAE and other parts of the World. Only CEO Clubs Network members are invited and promote their business in our exclusive network member’s regular gathering & events and for women only exclusive CEO Clubs UAE events in UAE. We look forward welcoming Local and International successful elite business community to be part of CEO CLUBS UAE an Elite Business Networking Club helping you grow business. The Chief Executive Officer Clubs create a nurturing environment for CEOs dedicated to improving the quality and profitability of their enterprises through shared experience and personal growth. CEO Clubs UAE Business Women division will have Women only monthly events on different business opportunities and related topics in UAE and also will take women delegations to other countries to attend Conference and meetings specially arrange for CEO Clubs UAE women members. CEO CLUBS UAE Women division initial 50 members will be the Founding Members of this CEO CLUBS UAE Women division will enjoy all the benefits mention on website with extra benefits and privileges. Please note that our benefits are added regularly. CEO Clubs UAE Women Division will be manage and attract our women business membership by its Advisory Board members. This division will totally focus on women business and subjects to enhanced and grow the business by having B2b meeting, seminars, meetings locally and internationally. The CEO Clubs UAE Women division members can also anytime join in our regular CEO CLUBS UAE any events other than Women only events of their choice once they are our member. The CEO Clubs Network Worldwide is opening its First Women division in UAE and then will open in other countries chapter soon. The best Business Clubs Network connecting CEOs & Senior Executives worldwide.